EUS-guided antegrade intervention for benign biliary diseases with surgically altered anatomy SAA appears to be a feasible and safe alternative procedure after balloon enteroscopy-assisted ERCP (BE-ERCP) failure, according to a study published in the journal Gastrointestinal Endoscopy. The findings challenge the reluctance among many endoscopists to perform EUS-guided biliary drainage procedures for indications other than unresectable malignancy. 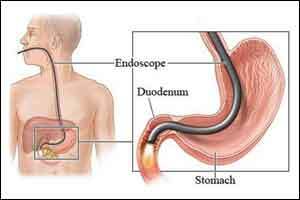 Although balloon enteroscopy-assisted ERCP (BE-ERCP) is effective and safe for benign biliary diseases in patients with surgically altered anatomy (SAA), BE-ERCP is not always successful. Recently, EUS-guided antegrade intervention (EUS-AI) including a 1-stage or 2-stage procedure has been developed for BE-ERCP failure cases. Shuntaro Mukai and his associates conducted a study to evaluate the outcome of EUS-AI for benign biliary diseases with SAA. The researchers performed the percutaneous transhepatic intervention in 11 patients out of 48 patients in whom BE-ERCP failed. Another 37 patients who failed BE-ERCP and underwent EUS-AI for benign biliary diseases with SAA [common bile duct stones (n = 11), intrahepatic bile duct stones (n = 5), anastomotic stricture (n = 21)] from were retrospectively reviewed. EUS-AI for benign biliary diseases with surgically altered anatomy (SAA) appears to be a feasible and safe alternative procedure after BE-ERCP failure. The overall technical success of the creation of hepaticoenteric tract by EUS was 91.9% (34/37). Moderate adverse events were observed in 8.1% (biliary peritonitis [n=3]). One-stage EUS-AI by EUS succeeded in 8 cases (100%) without any adverse events. In another 26 cases, 2-stage EUS-AI by ERCP was performed about 1 or 2 months later. Endoscopic antegrade therapy under fluoroscopy was successful in 6 cases. Per-oral cholangioscopy-assisted antegrade intervention was required in 19 cases (guidewire manipulation across the anastomotic stricture [n=6], cholangioscopy-guided lithotripsy using electrohydraulic lithotripsy [n=13]). In 1 case, magnetic compression anastomosis was performed. The final clinical success rate of all EUS-AI was 91.9%. The researchers concluded that the study provides evidence that EUS-guided bile duct drainage appears to be safe and effective in a novel group of patients. “The success rate seen here is higher than in virtually all studies of balloon-assisted ERCP (the closest alternative in these patients), and the procedures were much less time-intensive overall. It should be stressed that the EUS-guided biliary drainage procedures performed in this case were done via the antegrade route, which is generally considered more difficult than retrograde approaches, yet the overall success rate was still very high,”write the authors.